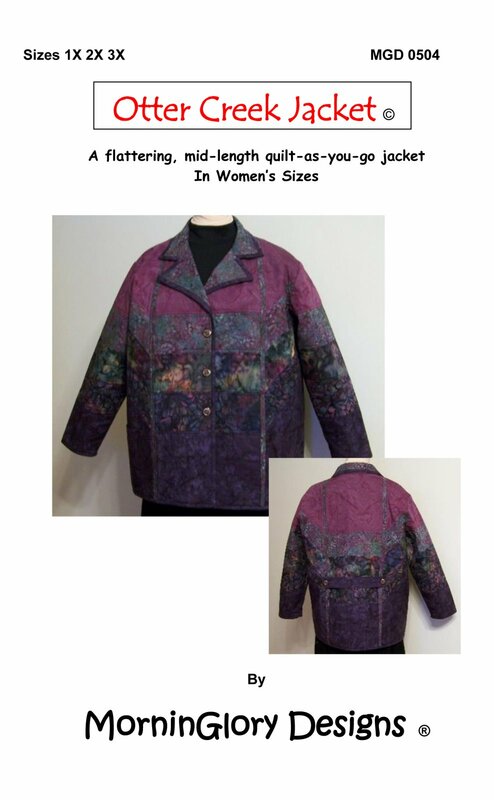 Looking for a great thigh length quilt-as-you-go jacket? Otter Creek features a button front with open lapels and large pockets. It’s a great length for colder climates and the vertical flanges give slimming lines and the belted back adds style. Sizes 1X-3X included MGD 0504 Requires intermediate sewing skills.